Upazila Resource Center (Urc) A new infrastructural addition to primary education management. Under the Primary Education Development Program (1997-2004) for the development of primary education, the country's 481 thana / upazilas are established in the country by implementing the Ideal Project, Quality Assistance Development of Norway-funded Primary Education Project, World Bank and ADB-supported projects. 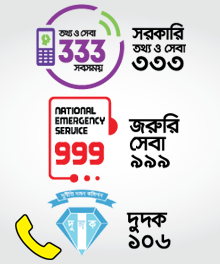 Later, in 2005, the government of Bangladesh covered 481 thana / upazila resource centers revenue budget of the country. In the beginning of the third Primary Education Development Program (2011-2016), the rules of the URC in 24 Thana / Upazilas were started. In that continuation, the government of Bangladesh started the activities of the Urc in this upazila by applying first manpower in the URC, Shajahanpur, Bogra in 2013. Basically, the main goal of the establishment of the Urc is to improve the professional skills of primary school teachers and to improve the daily learned-learning process through timely training.